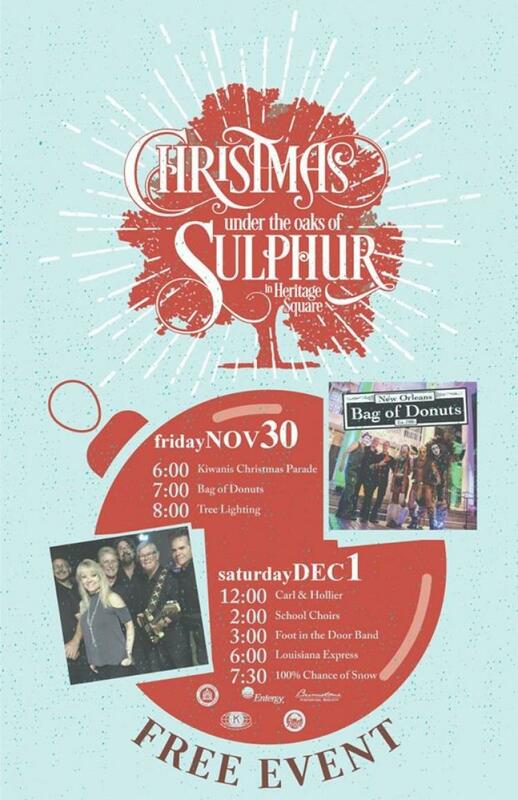 The Kiwanis Club of Sulphur kicks off Christmas Under the Oaks with the lighted parade at 6:00 PM and the arrival of santa, followed by the live nativity and bands in The Grove. The Lighting of the Christmas Tree will take place at 8:00 PM and the carnival will remain open until 10:00 PM. On Saturday, bands will play from 12:00 until 8:30 PM. The Live Nativity will begin at 6:00 PM, followed by 100% chance of snow at 7:30 PM.